Profit Injector Review – Is Jamie Lewis’ system a scam? What is the Proft Injector all about? 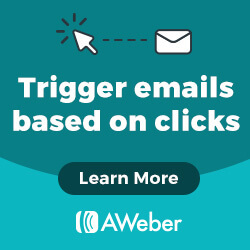 This new ClickBank system is getting a lot of attention lately, and I was invited to check it out via one of my numerous email subscriptions. So I decided to check things out to see what the excitement is all about. If you are on this page it’s because you have decided to check things out for yourself, so let me say that you have made a wise decision! There are so many digital products out there that claim you can be rich overnight that it’s hard to figure out which one is legit and which one is a scam! That being said, I make it my obligation to review these systems and report them back to you, my reader, so that you can make a reflected decision before buying any of these products. The first thing I have to say about this ClickBank product is the fact that we have a legit owner, showing his face on camera and promoting his system himself! That is not what I am used to seeing with most of ClickBank’s products with the fake owners with their stock images and paid actors that give testimonies! Koodos to Jamie Lewis for this “entertaining” sales video. What I found a bit strange and almost annoying and humorous at the same time, is him flipping his “cash” through that bill counting machine every 2 minutes. At the end it made me laugh a bit. Okay, we know you are very successful Internet Marketer, and this is a sales video, but in my opinion, that wasn’t necessary. Anyway, another big plus to Mr. Lewis here is also the fact that we have a pretty good idea of what he is selling. 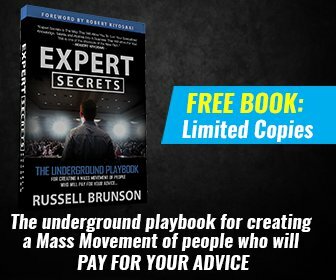 He actually explains what the system really is, unlike most of the ClickBank systems/products I review, where you can’t find out what it is unless you buy them. However, it is a bit on the “hype” side with him flashing screenshots of his ClickBank account with tons of money in it. But it’s also obvious that he knows what he’s doing by the way he explains the system itself. But, we also have to take in consideration that this system is not the only way that this guy has become the “guru” he is today and why he’s so successful. And it does not mean that this system will make you rich either. He actually says the same thing in his video. According to what he says, you only need a few “qualifications” to make it with his system: Basic computer skills and about 2 hours of work per day. He also asks that you email him your results, especially if you make money with it! Enough said about the sales video let’s take a look at the system itself. With this system, Jamie Lewis is going to show you how to use an “untapped secret” from YouTube. The whole idea is based on finding videos that are getting a lot of views and a certain amount of subscribers (ideally in the thousands) but have no link in the description to any money-making landing page or website. There’s just nothing in the description that would allow the owner of the video to make any money. Then they show you how to contact the owner of the video and strike a joint venture deal with them to place your own affiliate link in the video description and split the profits. He calls it “Video Arbitrage“. Like I said earlier, according to Jamie, the first thing to do is find YouTube videos that have decent traffic (He showed one that had around 35,000 views) but are not using that traffic in any business manner to create any income. They don’t make any money with it because they are not using the description of their video in any way, shape or form to create some kind of monetizing “link”. This is where you come in. You need to sign up with ClickBank and find a product to promote. You need to do this since you are going to use affiliate marketing to earn commissions from these videos. But how are you going to do this? By contacting the owner of the video and making a deal with them. You can either split the money made or pay them a certain fee to advertise on their video. Any which way, it’s a win-win situation since the owner is making money from something that wasn’t making anything before and you share the profits. That is what Jamie calls “free advertising” since there are no expenses to be paid out and both can make decent money out of it!. It’s actually a neat idea if I have to say so myself and can be definitely worth it! READ Tube Profit Sniper review – is it worth your time and money? How you make money with this is when people watching the video click on the affiliate link that you have provided and purchase the recommended product, then the commission will be split between you and the video owner to the agreed proportion. The beauty of this is that you can use any niche that is available, not just the “make money online” niche. However, as you can imagine, finding these videos that are not utilized at their best can be a very long and tedious process. But Jamie has you covered with his “customized search engine” that he has in his system. This is the reason you need his system, to get the tools and resources necessary to find those videos without spending endless hours searching on your own. For $37, you will get the basic training on how this whole system works. If you decide to get the upsells, then you can spend up to $600, and you will be offered these right after you buy the basic product. If you decide to stick with the basic then it’s not really hard to use. You pick a niche from their list, and you will get a list of current videos that are not currently monetized. It will then give an overview of how many views, likes, dislikes and a bunch more information on the actual video. You also get some training on how to approach the video owner and get some kind of joint venture with them. You can also do this with the email swipes that they provide. So it’s a “done for you” kind of thing here, where you don’t have to research because the research has already been done for you. You will also get PDFs with tons of information and a weekly webinar (and the replays as well)! And let’s not forget that there is some training on how to create your own YouTube channel and get it monetized. Detailed tutorial videos, email swipes, webinars and the actual software to help you chose the videos. Great leverage if you put your affiliate link in videos that have high traffic. Overload of people trying to grab these opportunities that could end up being saturated. A limited number of category (niches) in the software. The video is not yours, and the owner could decide to cut you off at any moment. So I would establish some clear ground rules before entering any kind of joint venture. As I mentioned, there are some downsides to this method and it is not perfect. However, if we compare this product to similar ones from ClickBank, it is way up there on the top of the list. So it’s definitely NOT A SCAM. There is, of course, the usual hype of any sales pitch I have seen before, but Jamie Lewis is a knowledgeable and well-known affiliate marketer, and if you follow his method precisely, you should be able to generate some revenue from this. The training is of quality and it is definitely worth the $37 you will pay! And being that the cost of the basic system is relatively low, you should be able to make a profit! Bottom line is it’s entirely up to you if you decide to try it, hopefully, this review has given you the chance to understand what it is. I personally use a method to build my own audience and I publish my own content. This way I control what is mine. If you are a beginner, you should concentrate on building a solid foundation for your business first and foremost. If you are looking to create a business online, you need access to THREE things: Education, Websites and Expert Help. The platform I use has all three and a whole lot more. I have been using this platform for three years now and this is how I was able to finally make money online with passive income. The platform I use is Wealthy Affiliate. Sign-up for a free Starter account today and get instant access to ALL THREE essential elements (Education, Websites and Expert Help) to start your online business (and my personal support)! NO credit card required! Just click on the button below and start your online business right away. Have any comments, suggestions, or questions? Please leave them in the space provided below. I will be happy to help in any way I can! eCom Cash Crusher [Review] – Make 2K per day or just another scam? Fast Cash App [review] – Can you really make 1.1M per year? Hi Denis! Great Profit Injector review. I came across this one some time ago, and I felt the same way about Jamie Lewis. 1. He’s a REAL person. That actually shows himself!2. He seems like a likeable and funny guy. 3. He really knows what he’s doing. I even purchased Profit Injector because I wanted to see what it was about. I really liked the concept. The training videos are OK, but when I purchased, they didn’t seem finished. I think some parts were missing. I haven’t logged in in a while, so maybe that has changed. In any case, I do like the idea of Profit Injector, and it makes a lot of sense. 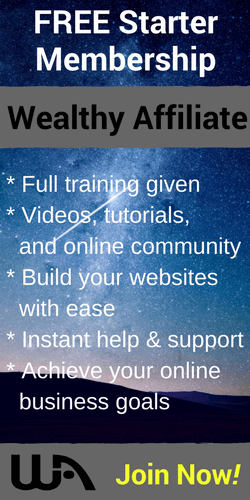 I am also a member of Wealthy Affiliate, and to me, that’s the place to start if you want to make money online. You could even utilize something like Profit Injector later down the line. But Wealthy Affiliate will give you that solid foundation that you need first. You have taken the words right out of my mouth Christina! He does know how to sell his stuff, we can’t argue that! But for someone new, it would probably be too much and would be a much wiser decision to start with Wealthy Affiliate instead. I am happy reading this insightful post because you have been able to expose another expensive “shiny object” offered on the Internet. It is unfortunate that many newbies eager to make fast money will fall for these programs. Project injector is not a scam but I don’t want to be a member because their cons are much more than their pros. Learning takes time and effort, there are no shortcuts. That’s right, learning takes time and so does building a sustainable and successful online business. These shortcuts don’t always provide and deliver what they pretend in their sales video. Thanks for stopping by and taking the time to comment on my article. Asking to do joint ventures is a good way to generate more traffic or sales of your own. A way to avoid over-saturation (one of your cons) is to ask the video owner if he has a new or in-development video that you could promote on his behalf. It is a bit riskier, but the returns would be bigger due to less competition. But if a current video is getting decent traffic, it would indicate people are subscribing to the channel. I agree that asking the video owner if he has in-development or other videos would be more profitable and less competitive. However, I’m not sure if I would even go that far. I would rather use my own video and use the training provided by Wealthy Affiliate to create my own channel and create my own video. That way you don’t put yourself at the mercy of someone else’s creation.